1. Grind coconut, red chilli, coriander seeds, cumin seeds and 1/2 tsp fennel seeds together smoothly. 2. Chop brinjal, potato, tomato and onion into small pieces. 3. Pour oil in a pan and heat it. 5. Add fennel seeds and bay leaf along with onion and garlic pieces. 6. 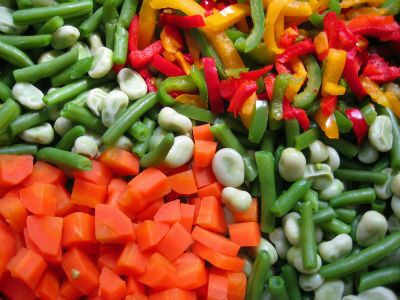 Add the vegetable pieces with salt and fry them well. 7. Mix sufficient water with curry and add coriander leaves. 8. Boil the gravy until a fine aroma arises. 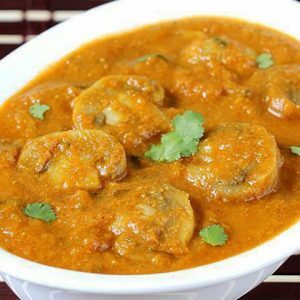 Feel free to comment or share your thoughts on this Vegetable Gravy Recipe from Awesome Cuisine.